Call 603-569-9599 now for your free boat accident case evaluation! A contract is an agreement between two or more persons to do or refrain from doing a particular thing. We frequently enter into contracts in our everyday lives. Employment agreements, vehicle purchase agreements, home purchase agreements and phone service agreements, loan agreements, licensing agreements, service agreements and supply agreements are some of the many types of contracts we have all entered into. When one of the parties to a contract fails to perform on the terms of the agreement, a breach is said to have occurred and the wronged party may seek redress. In most cases, compensation would be monetary. Monetary damages may be liquidated – where the contract itself already specifies the amount to be paid in the event of a breach or it may be compensatory – to put the plaintiff in the position she would have been had the contract not been breached. The court may also grant monetary award for attorney’s fees and costs. In certain circumstances however, the court may grant an order of specific performance, forcing the party who breached the contract to perform on the terms of the agreement. The court may also rescind the contract, thereby relieving both parties from the obligations associated with the contract. The Law Offices of Monzione P.C., has successfully represented clients in a wide variety of breach of contract cases. 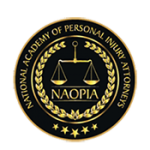 We boast of having a contract lawyer who is well known in New Hampshire, Massachusetts, and California. Our experience encompasses handling complex contract disputes for both individuals and businesses including non-profits and franchises. When a client feels that a contract has been breached, we are able to review the contract in order to determine if there has been an actual breach. If there has been a breach, we may reach out to the other party in an attempt to resolve the dispute amicably. Where the other party refuses to fulfil the terms of the contract, we may at your request seek redress in a court of law. If you believe you may have a claim for breach of contract and would like to learn more about your legal options, contact us today for a free consultation. Contact us today for a free consultation to learn more about how we can help you with your breach of contract dispute in New Hampshire, Massachusetts, and California! New Hampshire - Manchester, Nashua, Concord, Derry, Dover, Rochester, Salem, Merrimack, Hudson, Londonderry, Portsmouth, Alton, Wolfeboro, and other areas. Massachusetts - Boston, Medford, Malden, Lynn, Marblehead, Salem, Manchester, Gloucester, Rockport, Ipswich, Newbury, Newburyport, Amesbury, Salisbury Beach, Seabrook Beach, and other areas. California - San Francisco, Oakland, San Jose, Berkeley, Alameda, San Rafael, Vallejo, Marinwood, Novato, Hercules, and other areas. 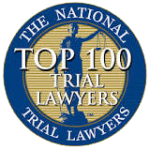 Attorney Monzione is a nationally known lawyer who is recognized as one of the top 100 trial lawyers in America by the National Trial Lawyers organization and also recognized as one of the top ten personal injury lawyers in the country. We'd love to hear from you. Please send us an e-mail.. Contact us today to discuss your legal matter! © Copyright The Law Offices of Paul M. Monzione P.C.